When it comes to advances in technology, young adults are often the first to embrace change. But it’s the 50-plus crowd that could end up as early adopters of a coming revolution in transportation: self-driving cars. the Mountain View, Calif., search giant, which has pioneered the self-driving idea, unveiled its latest prototype car—with no steering wheel, and no accelerator or brake pedals. 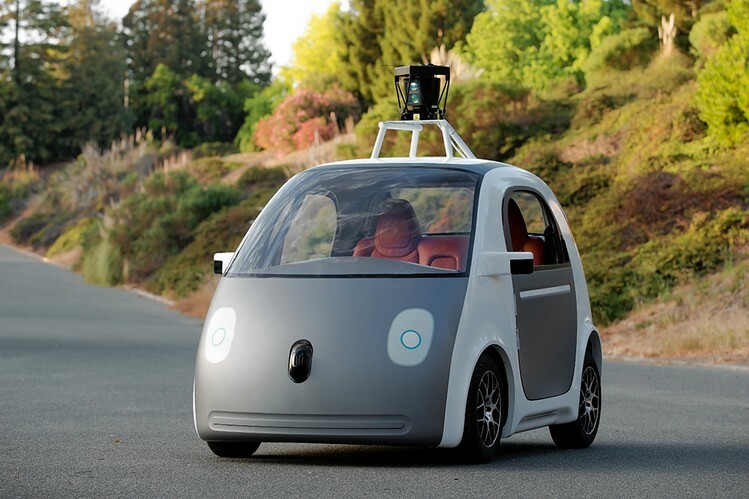 who consulted on the Google car team in 2011 and 2012 and now teaches at Singularity University in Silicon Valley. He noted that self-driving vehicles still face significant regulatory hurdles (think: liability and insurance) and that widespread use is probably decades away. But some communities, he says, could see “robocars” (his preferred word) by 2020 or so—and older adults, in particular, may reap the early benefits. WSJ: When do you think riding in an automated vehicle will become a reality? MR. TEMPLETON: Actually pretty soon, but over a limited area. If it’s Google, one can imagine they would start in Mountain View, Calif., or San Francisco. Ford might start in Ann Arbor, Mich. It is also a good natural fit for a retirement community. WSJ: So having these cars operate in closed communities will get people used to the idea? MR. TEMPLETON: That’s right. It might handle only some of the streets, but wouldn’t be forced into preprogrammed routes. It would take you where you wanted to go. That could happen fairly quickly—this decade. WSJ: Why might older adults be early adopters of the self-driving car? MR. TEMPLETON: Because I don’t think anyone wants to be a shut-in. The boomers all moved to the suburbs, and the suburbs don’t have good transit. When boomers get to be seniors, they will find themselves without as much driving ability and without the ability to use transit to get places. Sometimes the only alternative will be to move out of your house. If [a self-driving car] lets you keep your house rather than having to move, I think you’ll see people who aren’t necessarily early adopters go for it. WSJ: How will this car be sold to people? MR. TEMPLETON: You might sell it to people for a monthly fee. Plus they would have to pay per mile for gasoline, and to some extent, insurance and maintenance. You also can sell this per mile like a taxi, except it would be much cheaper because 60% of the cost of running a taxi is the driver. It will basically be a cheap Uber [which allows a person to hail a private car or ride-share from a mobile phone], and with no need to talk to the driver. WSJ: If autonomous cars operated using a service model, as opposed to ownership, what will people pay per ride? MR. TEMPLETON: It will start somewhere between 50 cents and a buck. I think it could even get [to be] less than 50 cents a ride, but it won’t start cheaper. For people who are going to make light use of it, then the per-mile price, rather than the monthly price, might actually be a good thing. Seniors stop buying cars because they don’t really feel like trading in anymore, and they cut their mileage by quite a bit. WSJ: Looking further down the road, what might we see in the self-driving market? MR. TEMPLETON: I think eventually people will build sleeper cars that can do an overnight trip. I don’t think it’s a very green vision, but you would probably be able to hire a car that doesn’t even have seats. It’s just got a bed. Get into it, lie down, and then eight hours later you wake up and you’re 400-500 miles away. WSJ: What would you call a self-driving vehicle? MR. TEMPLETON: Robocar was the name I picked because when you say it, everyone knows what it is. “Driverless car” is my least favorite. I tell people that’s like saying “horseless carriage.” So 100 years ago, the only thing people noticed was: Hey, there’s no horse. In fact, the first horseless carriages looked like carriages with no horse. Later they realized, wait, we don’t have to design this like an old carriage. I think the same is true here, and in fact, Google has kind of shown that. Version 1 was a Prius, and Version 2 was a Lexus SUV. This [latest] one is designed from the ground up. This isn’t a car. It is the thing that comes after a car, as the car came after the horse. The fact that there isn’t a person driving it eventually will be the least important thing about it. Ms. Hedli is a writer in California. She can be reached at encore@wsj.com.